Is DoD’s Asia ‘Pivot’ Dead? 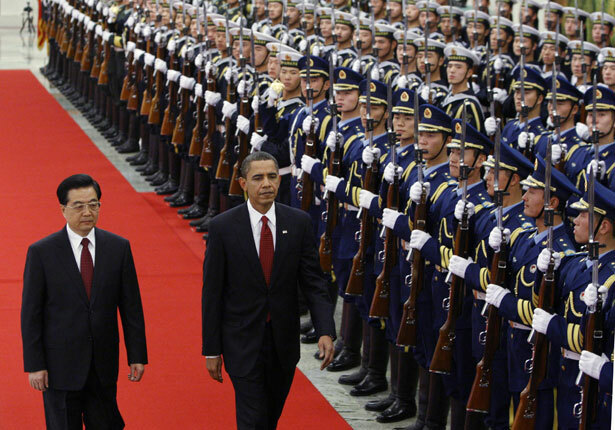 Let’s hope the Obama administration kills the expensive and misguided China containment plan. The pivot, of course, is the vastly expensive, counterproductive and highly provocative shift of American military resources from the war-weary Middle East to China and the Pacific. At best, the pivot is a transparent effort by the military-industrial complex to justify its bloated spending on “defense” by yapping about the supposed threat from China. At worst, the pivot is an actual, on-the-ground (and on-the-sea and in-the-air) effort to “contain” China. Sequester aside, with levels of spending on the Department of Defense likely to fall during the 2010s, the United States can’t afford the pivot. Much of it would involve vastly expensive naval and air force weapons systems programs that Washington cannot pay for. National security officials in the military and at the Pentagon are voicing growing worries that the second Obama administration is preparing to jettison the new policy focus on Asia known as the “pivot” or rebalancing. Evidence cited by these officials includes a recent Chinese government visitor who was told that the White House plans to kill the shift to Asia in mid-2013 as part of its conciliatory approach to China. Beijing is the key, but unspoken, target of the major military and diplomatic effort to increase security in Asia and calm the fears of US allies alarmed by what they see as the new Chinese hegemon in Asia. The new Obama foreign policy team, especially Chuck Hagel, are reported not to be enamored of the idea of an Asian pivot, says the Times. The Obama administration hopes to “pivot” away from a hyper-focus on the Middle East during its second term, but John Kerry’s maiden overseas mission as secretary of state—a nine-nation odyssey across Europe and the Persian Gulf—highlighted why that goal may be elusive. Elusive, of course, because with the Arab Spring faltering, the war in Syria, the Israel-Palestine conflict stuck, Iraq falling apart, Iran’s nuclear program and the ongoing war in Afghanistan, it’s not easy to focus on East Asia. To be sure, much of the future of the 21st century will revolve around the relationship between the United States and China, so it is the right thing to do to focus on Asia and to build a cooperative relationship with Beijing. But the United States doesn’t need the Pentagon’s help to solve the political and economic problems with China and to seek common ground there. On the contrary, trying to contain China will only bolster anti-American nationalists there and boost the prospects of the Chinese military. The Pentagon’s top brass are second-guessing the F-35 Lightning—the most expensive weapons system in history—as spending cuts tighten the military’s budget and a new report says F-35 pilots can’t see that well out of the cockpit. The brass are generally warning that the sequester puts DoD spending plans in jeopardy. Perhaps, though, it is likely that the sequester will get fixed later this year, possibly with an Obama compromise that puts Medicare, Medicaid and Social Security in jeopardy. But the DoD’s problems are bigger than the sequester, and the pivot is just too damn expensive. Hugo Chavez failed to fundamentally transform Venezuela’s struggling economy, but he did make life better for his nation’s poor, Robert Dreyfuss writes about the late leader.